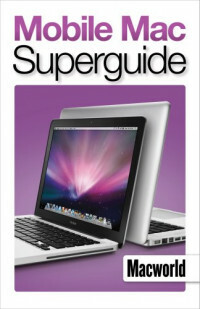 The team of experts at Macworld has used its encyclopedic Apple knowledge to create the essential guide to being a mobile Mac user. Whether you re using a MacBook, MacBook Pro, MacBook Air, iPhone, or iPod touch, this book makes it easy for you to stay on the ball while on the road. First, a review of the Apple available mobile devices to help you decide which system best suits your lifestyle and budget. Next, the top software options for road warriors, including essential utilities and apps to make your iPhone work-ready. Plus, all the ways you can connect to the Internet when you re on the road, and the best techniques for accessing your files from afar. Our chapter on security has everything you ll need to prevent thieves from stealing your laptop or mobile device and for keeping your data safe from snoops. Prevent more worst-case scenarios with the chapter on troubleshooting, which teaches you how to solve common problems as well as the best ways to back up your data. Finally, we share our top-rated mobile accessories on the market, including some must-have gadgets you didn t know you were missing. Whether you re a telecommuter, a student, or just a frequent traveler, don t leave home without reading this book first.